Find almost all details of commercial spaces for rent in Patna within your budget on www.buysellrentpatna.in, Patna's No.1 Real Estate Portal. Get complete details of property specifications & related amenities and all that is required to make a rental decision in Patna. There are spaces for OFFICES, SHOPS, SHOWROOMS, WAREHOUSES, HOSTELS, GUESTHOUSES, COACHING INSTITUTES, PLAYSCHOOLS AND more...... in specific locations of PATNA. 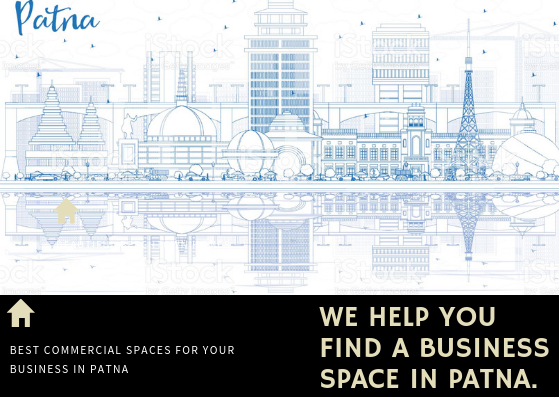 SELECT THE AREA IN PATNA WHERE YOU WOULD LIKE TO HAVE YOUR COMMERCIAL SPACE BY CLICKING ON THE AREA NAME AND YOU WILL GET NUMBER OF PROPERTIES LISTED FOR RENT IN THAT AREA OF PATNA.